Joy Wilson is the President of the Nursing Museum. She has dedicated her life to Nursing, Nurse education and learning, has a passion for Nursing History and is currently studying everything there is know about Museum administration, preservation and much more. Joy’s career in nursing spans over 54 years and she has an extensive education. She completed her General Nurses Training at Brisbane Hospital in 1962, her Midwifery at Women’s Hospital in 1964, Child Health in 1970 and a certificate in Queensland Maternal and Child Welfare Service Cardio Thoracic in 1978. In 1983 she obtained a Dip. App. Science Nurse Education from Q.I.T (now QUT) and a Bachelor of Nursing in 1993. Early in her career Joy was posted in Papa New Guinea, where she was expected to do much more than just nursing. Returning to Brisbane, Joy undertook extensive nursing practice in operating theatres, community nursing, child health, coronary care and intensive care. Joy was also the Nurses Educator and Staff Development Officer at the Princess Alexandra Hospital for over 20 years. In recognition of her service to Nursing, Joy is a Fellow of the College of Nursing Australia. After retirement in 2008, Joy continues to be an active member of the community as a Committee Member of the Royal Brisbane Hospital Nurses Association Inc., Treasurer of the Centaur Memorial Fund for Nurses and a volunteer at the Nursing Museum and the AMSQ. 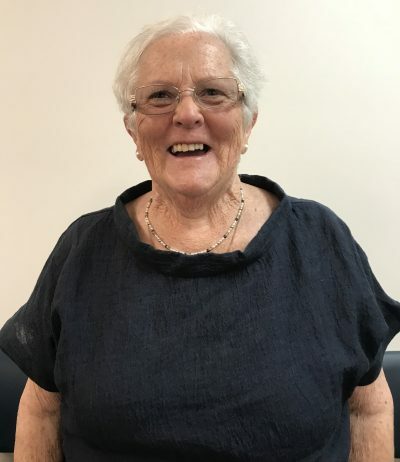 Due to her passion of History, she is also an active member of Miegunya The Queensland Women’s Historical Association and the Brisbane Living Heritage Network.